How to Become a Memory Master - Idriz Zogaj Idriz Zogaj at TEDx Goteborg. The Lanier Verbatim Memory System | Part Three: LAW TEXT MERMORIZATION Gary demonstrates how mnemonics can be used in memorizing law text, verbatim. Stephen Wiltshire draws NYC for UBS Stephen Wiltshire is an autistic artist that can make detailed drawings from memory. Amazing. Richard Feynman: The Difference between Knowing the Name of Something and Knowing Something Interesting video: "R. P. Feynman on the difference between knowing the name of something and knowing something." Speed Cards - World Memory Championship 2012 Video of the speed cards event at the 2012 World Memory Championships. Brain Galaxy Live Memory Demonstration in Southeast Asia These are the Brain Galaxy live memory demonstrations done in different parts of Southeast Asia such as Philippines, Malaysia and Cambodia. Shakespeare Original Pronounciation People who like to memorize poetry might be interested in this video on the differences in English pronunciation between Shakespeare's time and now. 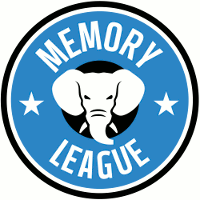 The Lanier Verbatim Memory System | Part Two: How It Works Gary Lanier has developed a verbatim memory system that is usable for memorizing anything that involves words and can be used by almost anyone! Ron White - How to Memorize a Poem, Quote or Scripture http://www.youtube.com/watch?v=jgyEBbQN0jU He makes it look so simple. The Lanier Verbatim Memory System | Part One: Intro & Part Two: How It Works Gary Lanier has developed a memory system that will enable you to memorize verbatim almost anything! 1993 World Memory Championship in London Video footage from the 1993 World Memory Championship in London. Dominic O'Brien gets a perfect score on spoken numbers, breaking the world record. Another idea to memorize words This may help for this particular kind of reading. His name is John Morrison,at least on youtube. Dominic O'Brien Memorizing a Deck of Cards Dominic O'Brien memorizing a deck of cards on the radio. Nelson Dellis Talk US Memory Champion Nelson Dellis takes the Palantir Night Live stage in Tysons Corner to share the secrets behind his memory mastermind. This guy has memorized a dictionary using Loci Ed Cooke tests Dr Yip Swee Chooi on the 1774 page Chinese-English dictionary he learned by heart. Cesar Kuriyama: Remembering One Second of Every Day This is an interesting TED Talk from someone who is recording one second of every day for the rest of his life. The Chemistry Song Another example of how songs can be used for memorization. Memorizing by Song: The Twelve Cranial Nerves of Christmas A great example of using a song for memorization. Seen in Hype's comment.